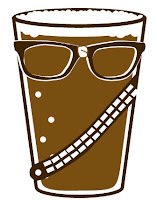 Portland's summer beer calendar is literally packed with events. There's something to do, somewhere to go every day. But not all events are created equal. Many are nothing more than moneymaking ventures, which is fine. Once in a while you can attend something that is more or less altruistic. Look it up. 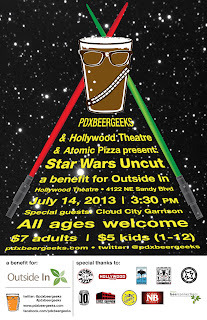 This Sunday, July 14th, the pdxbeergeeks celebrate two years with a showing of Star Wars Uncut at the Hollywood Theater. 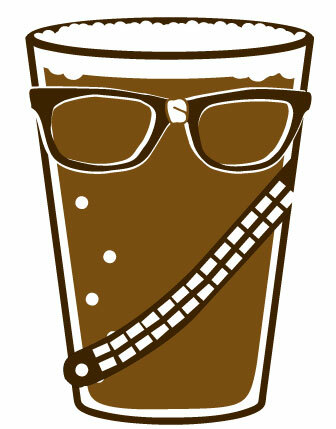 Prior to the 3:30 showing of the film, Star Wars characters in authentic garb will mingle with the crowd. Following the movie, the party moves next door to Atomic Pizza, where beer and food will be available. I'm told kegs from Natian Brewery, Lompoc Brewing, Fort George Brewing, 10 Barrel Brewing and Sasquatch Brewing were handpicked by pdxbeergeeks founder Mike Umphress for the occasion. I can't really comment the film. The original Star Wars movies were great and Star Wars Uncut is apparently a mash-up of those films. Developer Casey Pugh put a lot of effort into creating this and it sounds a little goofy...but fun. 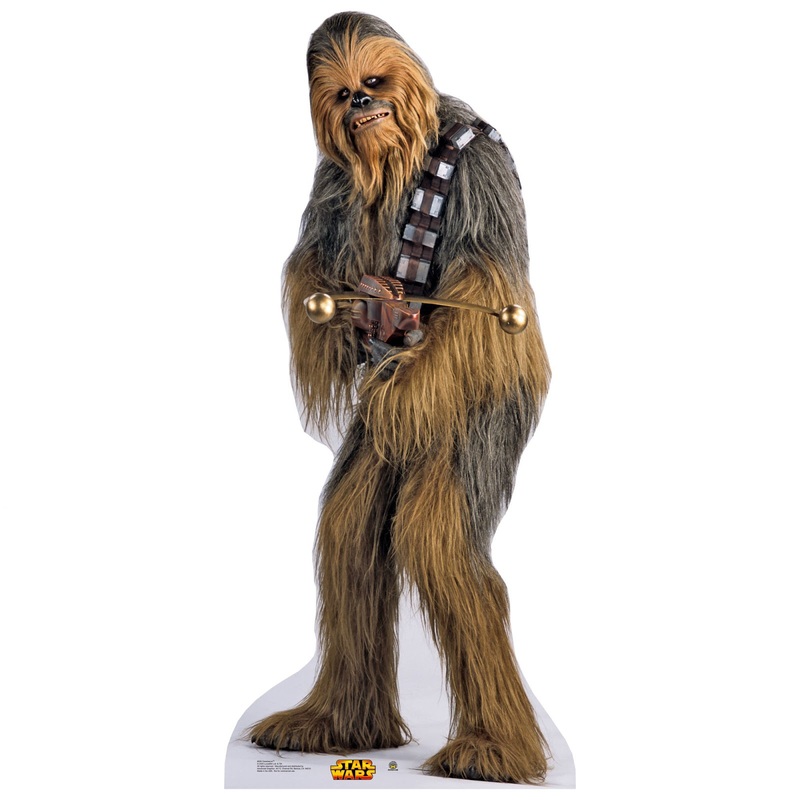 Seeing Chewbacca, Hans Solo, R2D2, Luke Skywalker, etc., in action and out of order has some appeal. Admit it. 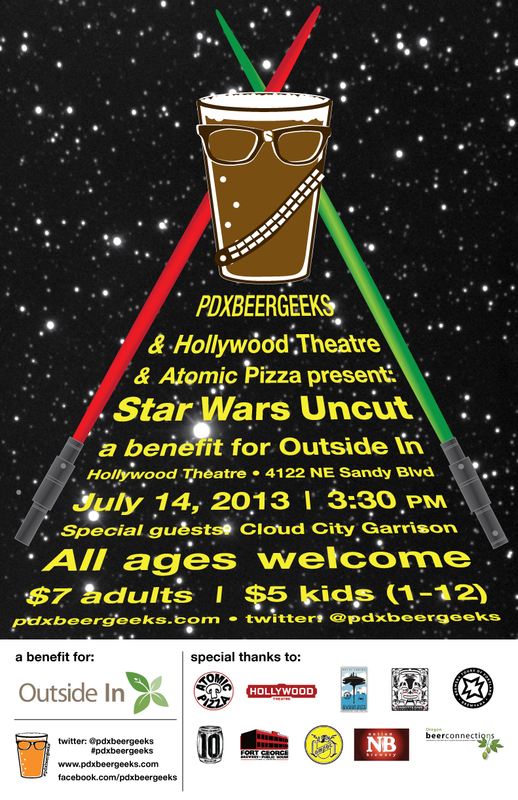 The geeks have partnered with the Hollywood Theater, Atomic Pizza and the breweries so that a portion of the event proceeds with be donated to the local social service agency, Outside In. The agency's mission is to help homeless youth and other disaffected folks move toward improved health and self-sufficiency. That's a worthwhile program. In fact, all of the beer for this event was donated by the sponsor breweries, so a special thanks to them for supporting this event. This means ALL proceeds from beer sales will benefit Outside In. Mike says there will be some great beers available, so get down there and support a good cause.